An ultrasound offers parents the first glimpse of their child's tiny form. The majority of the time, pictures rendered in a standard ultrasound are grainy, blurry, and in black and white. While the technician may know what they are looking at, it takes a lot of trust and imagination for the patient to make out the miniscule features of their baby. 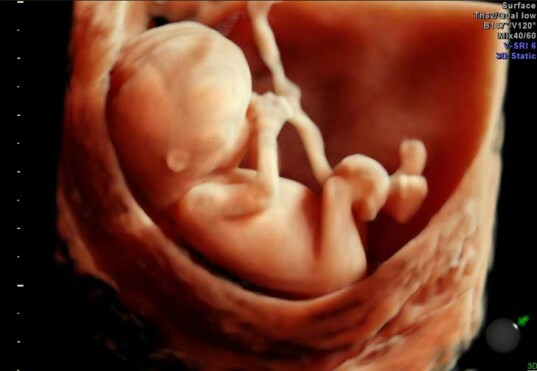 Now, thanks to GE's HDlive technology, ultrasounds offered in 3D offer images that are startlingly clear and in color. Using skin rendering techniques, the feature is available on their Voluson E8 Expert and Voluson E8 Women's Health models. The old, monochromatic ultrasounds have gone the way of black-and-white television. Now, doctors can use GE’s HDlive feature found on their Voluson equipment to show the fetus in an astounding amount of detail. Providing incredible realism and depth of perception, the platform not only provides parents with a miraculous window into the world of their developing baby, it also enables doctors to detect any health problems before birth. HDlive also supports a virtual light source that is able to cast shadows and create definition, highlighting every bump and crease. The software can compensate for speckled images, and calculate how light would reflect or be absorbed by tissue. This is made possible by using a second generation Dynamic Rendering Engine which can perform calculations equivalent to 20 times the power of a desktop PC. With the appearance close to a medical video, it is now possible to see mother and child like never before. The old, monochromatic ultrasounds have gone the way of black-and-white television. 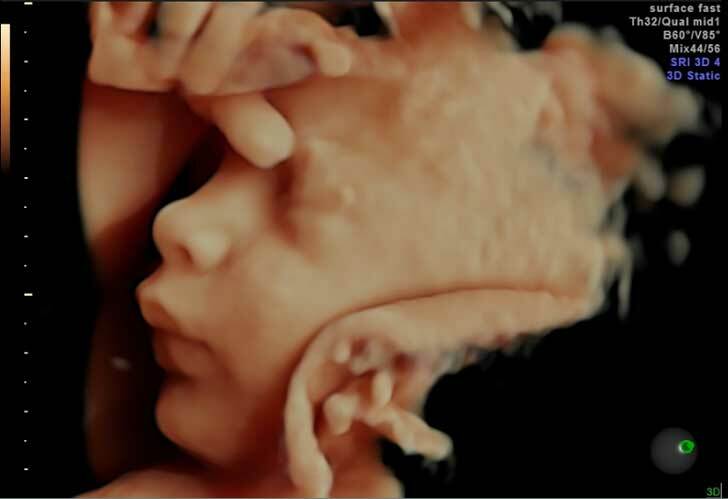 Now, doctors can use GE's HDlive feature found on their Voluson equipment to show the fetus in an astounding amount of detail. HDlive also supports a virtual light source that is able to cast shadows and create definition, highlighting every bump and crease. The software can compensate for speckled images, and calculate how light would reflect or be absorbed by tissue. Providing incredible realism and depth of perception, the platform not only helps to bond parent with baby, but for doctors to detect any health problems before birth.